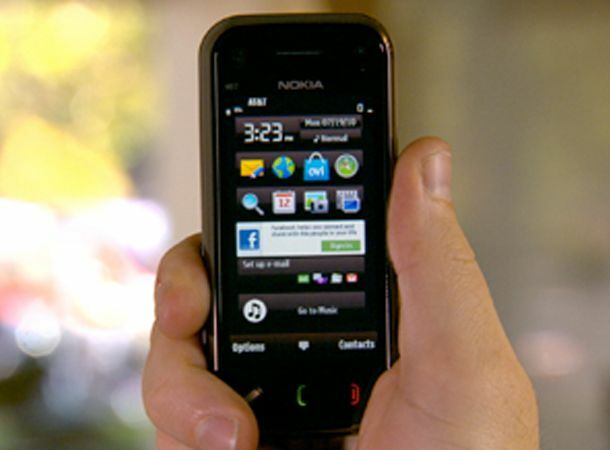 Death grip affects Nokia's phones too according to new Apple clip. Not content with bringing down the BlackBerry Bold 9700, HTC Droid Eris and Samsung Omnia II as part of its iPhone 4 reception debacle, Apple has now decided to show that the Nokia N97 Mini suffers from a death grip too. In a new clip posted on its official website, Apple shows the N97 Mini slipping from seven bars to two when a hand clasps the antenna across the bottom of the device. Nokia has already responded to Apple's previous claims about its smartphones, saying it never puts design before antenna issues. But this specific attack is bound to draw the ire of one of Apple's fiercest rivals. Keep your eyes on our Twitter and Facebook pages to see just what Nokia has to say about this latest sucker punch from Apple.